At Beauport Mazda, financing is always enjoyable and fast. 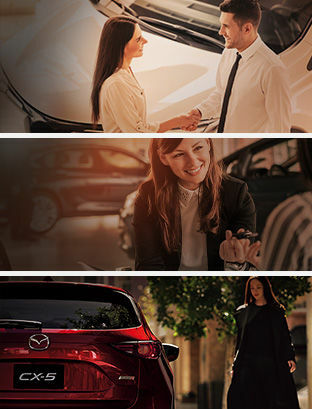 Once you’ve found the new Mazda vehicle you wish to purchase, our finance department will help you find the right financing plan according to your budget. Financing services at Beauport Mazda offer flexible plans with affordable and reduced interest rates. We have regular promotional financing offers as well. If you prefer to lease your next vehicle, we can also help you with leasing offers on all of our new Mazda models in stock. Beauport Mazda can also offer affordable and flexible financing plans on all of our certified pre-owned vehicles as well as second chance credit financing plans. Come in today to talk to our financing specialists. They’ll be happy to help you find the right financing for your budget and the vehicle you’re interested in.